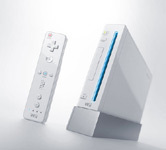 In many ways the Wii system is perfect for the Resident Evil games due to the controls. The Nunchuk attachment and your Wii control offer far more possibilities, from shooting to knife attacks. The Wii Zapper gun attachment will be even more appropriate when it comes to the range of firepower at your disposal. 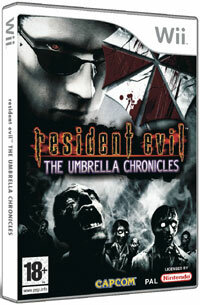 This chapter in the highly successful series takes on a Time Crisis shoot-‘em-up style, and leads you through familiar scenarios set in action by the Umbrella pharmaceutical corporation that laid waste to Raccoon City with their deadly viral research (leading to infectious zombies and many other bio-freaks). Past characters (like S.T.A.R.S. operatives) and new ones take you through scenes from Resident Evil 0, 1 and 3 - from a whole new perspective. Blasting undead creatures, horrific beasts and leaches (while collecting ever more powerful weapons) is at the heart of it all. You can also unlock a co-operative mode which adds more dimension to the traditionally solitary character of the game, throwing a friend into the mix. The Resident Evil games (without a doubt) resurrected the zombie genre which spilled into motion pictures, and this particular title is a homage to fans who will love revisiting Raccoon City and the other locations, while someone new to the series will get a kick out of the vast expanse of both the narrative, the terrain (and the gore!). RE: Umbrella Chronicles is (for want of a better term) without a doubt, a blast.